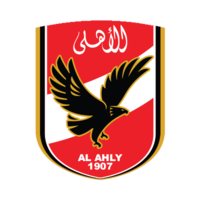 Al Ahly SC has not submitted any formation. 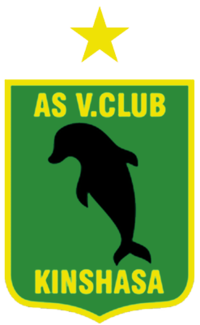 AS Vita Club has not submitted any formation. Sayed Samir lets taken away the ball. Sayed Samir in a tackling... and wins it! Christian Kakuta tries to pass the ball to the strikers... but misses! Islam Fathi lets taken away the ball. Jordan Kabananga in a tackling... and looses it! Ndombe Masuaku in a tackling... and looses it! Hossam Hamoudi tries to pass the ball to the strikers... but misses! Arthur Nsiala passes the ball... and the ball is out. Ahmed Gamal passes the ball... and the ball is out. Naguib Nasef passes the ball... and the ball is out. Omari Ibenge tries to pass the ball to the strikers... but misses! Omari Ibenge runs towards his opponent and wins the tackling! Omari Ibenge shoots towards the goal... but into the arms of the goalkeeper! Cross by Angelo Pineda... into the clouds! Angelo Pineda runs towards his opponent and wins the tackling! Christian Kakuta passes the ball towards the centre... but the opponent catches it. Ahmed Gamal passes the ball towards the centre... but the opponent catches it. Header by Jordan Kabananga... that was close. Ahmed Youssef passes the ball... and the ball is out. Ndombe Masuaku tries to pass the ball to the strikers... but misses! Hossam Hamoudi runs towards Ndombe Masuaku... and looses the ball. Ahmed Gamal runs towards Omari Ibenge... and looses the ball. Cross by Christian Kakuta... into the clouds! Angelo Pineda in a tackling... and looses it! Ahmed Gamal tries to pass the ball to the strikers... but misses! Christian Kakuta passes the ball... and the ball is out. Arthur Nsiala steals his opponent's ball in a tackling. Hossam Fadlallah passes the ball towards the centre... but the opponent catches it. Sayed Samir shoots... but the goalkeeper can somehow catch it. Lema Bangala passes the ball... and the ball is out. Lema Bangala steals his opponent's ball in a tackling. Arthur Nsiala tries to pass the ball to the strikers... but misses! Hossam Fadlallah tries to pass the ball to the strikers... but misses! Jordan Kabananga runs towards Hossam Fadlallah... and looses the ball. Ahmed Youssef has the ball and sees his opponent in front of him... but he can win the tackling. Hossam Hamoudi has the ball and sees his opponent in front of him... and looses the tackling. Cross by Arthur Nsiala... into the clouds! Hossam Fadlallah passes the ball... and the ball is out. Header by Islam Fathi... that was close. Omari Luyindama lets taken away the ball. Christian Kakuta has the chance to shoot... and cannot even target the goal. Mustafa Salem passes the ball... and the ball is out. Christian Kakuta in a tackling... and wins it! Christian Kakuta has the ball and sees his opponent in front of him... and looses the tackling. Christian Kakuta shoots... into the sky. Angelo Pineda passes the ball... and the ball is out. GOAL - what a trick by Omari Luyindama! Omari Luyindama steals his opponent's ball in a tackling. Sayed Samir has the ball and sees his opponent in front of him... and looses the tackling. Ahmed Youssef runs towards his opponent and wins the tackling! Sayed El-Shenawy runs towards Omari Mabidi... and looses the ball. Omari Ibenge shoots... into the sky. Header by Jordan Litombo... but missed. Sayed Samir in a tackling... and looses it! Islam Fathi shoots... into the sky. Sayed Samir shoots... but the goalkeeper dives to get the ball. Lema Mabidi passes the ball... and the ball is out. Header by Sayed Samir... but missed. Sayed Samir tries it with a strong shoot... but missed. Naguib Nasef shoots... into the sky. Naguib Nasef runs towards his opponent and wins the tackling!